In relation to the Haitians, Piñera announced that as of April 16 they will be have to asked for a consular visa for simple tourism with a maximum of 30 days looking to enter Chile "with purposes of recreation, sports, health, studies, business management, family, religious or other similar, without purpose of immigration, residence or development of remunerated activities. It should be ordered in Haiti and once in Chile you will not be able to change your tourist visa to a temporary one, this measure will represent a barrier. As Haitian immigration in turn is in the stage of family reunification, the Chilean government will establish a visa for humanitarian purposes of 12 months, which can only be requested at the Chilean consulate in Haiti. It will come into force on July 2, may be extended to 24 months and, after that period, the citizen may aspire to permanent residence in Chile. The Executive, however, clarifies that "an annual maximum of visas for humanitarian purposes will be authorized." 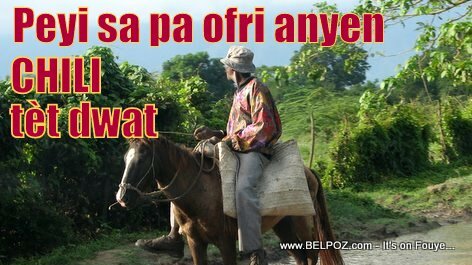 Prezidan Chili a ki se Sebastián Piñera fè konnen se moman pou mete lod nan dezod la, noman an rive pou nou ka mete fen nan kay nou tap pataje a, men chili ap rete yon peyi ouvè pou tout imigran men se ak plis lòd se sa chèf leta peyi a fè knonen.